Searching for mortgage advice? We'd be thrilled to talk about our mortgage offerings! Call us in Le Mars at 712-546-4175, in Sioux Center at 712-722-4545, or in Sioux City, call our office on Sunnybrook Drive at 712-224-5400 or our office on Hamilton Boulevard at 712-224-4777. Want to get started? Apply Now. There are an enormous number of refinancing options available to borrowers. 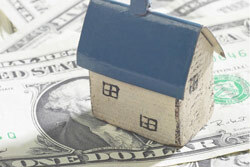 We can guide you to select the refinance loan program that can fit your needs the best. Contact us in Le Mars at 712-546-4175, in Sioux Center at 712-722-4545, or in Sioux City, call our office on Sunnybrook Drive at 712-224-5400 or our office on Hamilton Boulevard at 712-224-4777 to begin the process. In the interest of looking at your choices, you should consider what you want to achieve with the refinance. Are getting lower payments and an improved rate your main refinance goals? In that case, getting a low, fixed-rate loan may be a wise choice for you. Maybe you currently hold a fixed-rate mortgage with a higher rate, or maybe you hold an ARM — adjustable rate mortgage — in which the interest rate can vary. Even if rates rise later, unlike with your ARM, when you qualify for a fixed-rate mortgage, you lock in that low rate for the life of your loan. If you plan to live in your home for at least five more years, a loan with a fixed rate may be a particularly good option for you. But if you do expect to sell your home more quickly, you should consider an ARM with a low initial rate to get lower mortgage payments. Is "cashing out" your primary purpose for refinancing? It could be you're going on a much needed vacation; you have to pay tuition for your college-bound child; or you plan to renovate your home. In this case, you will want to get a loan for more than the remaining balance of your present mortgage. If you've had your current mortgage for a number of years and/or have a loan whose interest rate is high, you may be able to do this without increasing your monthly payment. Do you want to cash out a portion of your equity to consolidate additional debt? Great plan! If you have enough home equity, paying off other debt with rates higher than your mortgage (credit cards or home equity loans, for example) may help save you a chunk of money each month. Are you dreaming of paying off your loan faster, while building up your home equity quicker? If this is your plan, the refinance can move you to a loan program with a shorter term, like a 15 year loan. Your payments will likely be higher than with a long-term mortgage loan, but the pay-off is: that you will pay substantially less interest and can build up equity more quickly. However, if you've had your current 30 year mortgage for a long time and the remaining balance is relatively low, you might be able to do this without increasing your mortgage payment — you could even be able to save! To help you understand your options and the numerous benefits in refinancing, please contact us in Le Mars at 712-546-4175, in Sioux Center at 712-722-4545, or in Sioux City, call our office on Sunnybrook Drive at 712-224-5400 or our office on Hamilton Boulevard at 712-224-4777. We are here for you!